It is perhaps the most frightening word that any mother of two grade school children would ever want to hear - cancer. Unfortunately, this was the diagnosis that Jen Singer received - lung cancer; stage 3 non-Hodgkins lymphoma to be exact. But rather than letting the disease take away her spirit, Ms. Singer, accomplished mommy-blogger and author of You’re a Good Mom (and Your Kids Aren’t So Bad Either), and the Stop Second-Guessing Yourself parenting book series, beat the odds and stood up to cancer by celebrating life. Jen became an advocate and provided a voice for parents with cancer via her Goodhousekeeping.com blog, her website Mommasaid.net and via national media appearances including Stand Up for Cancer, The Washington Post and Newsweek. At the same time, Jen kept her sense of humor and her sense of joy for life. Perhaps it was the experience during the birth of both her boys who were born prematurely, that gave Singer an appreciation for the delicate nature of life and the power of love, belief and positivity in overcoming adversity. 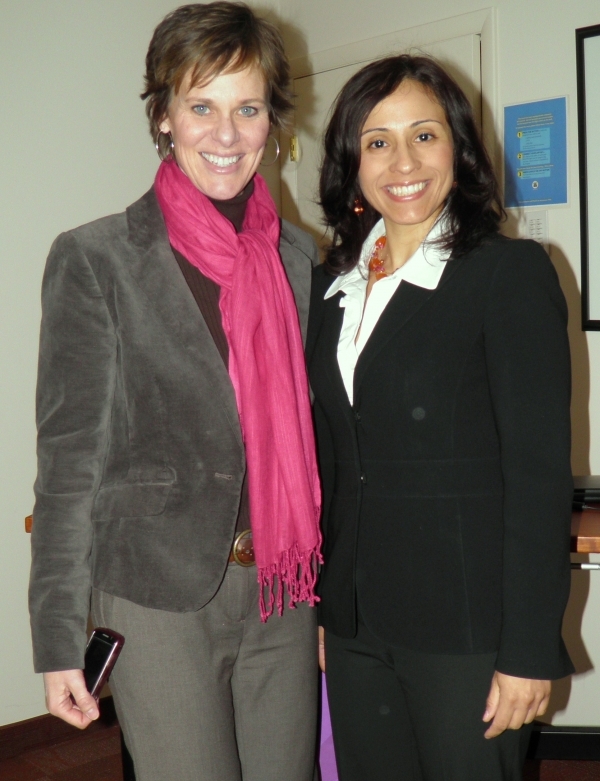 I had the opportunity to meet Jen recently and see her speak at a March of Dimes meeting northern New Jersey. It was truly inspiring to meet such a positive, successful woman who had conquered personal tragedies her in life, yet still came out with such an immense joy for life. You can see a video of her March of Dimes speech on my blog at http://vivekaterin.blogspot.com/. Now in remission, Jen’s talents as a parenting author and a speaker are in more demand than ever. She continues to blog and has many national sponsors. Her creativity is unwavering as evidenced by The Housewife Awards, a user-generated recognition for the hard work that moms do every day in raising their children and keeping the house in order. Singer was recently nominated to be the keynote speaker at the 40th American Society of Journalists and Authors conference on April 30th in New York City.